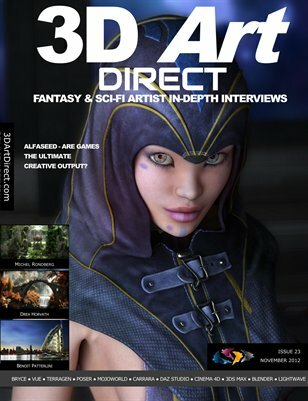 We had the opportunity to interview Jeff Hindmarsh AKA “Jaybeeh” at Renderosity, who lives in Newcastle, the city of his birth. He uses several different programs including Mojoworld, Photoshop, CS4, ZBrush, Xenodream, Shade 7 and Poser to produce his final images consisting of Fantasy and some abstract work. 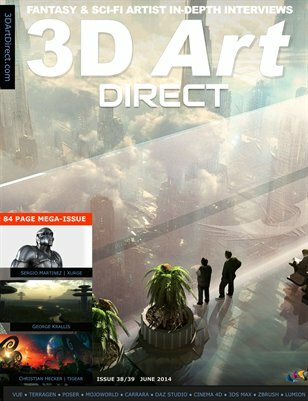 The full interview with Jeff will be in the forthcoming April edition of 3D Art Direct magazine. 3DAD: You dabbled with pencil, ink and watercolor mostly, then what influenced you to take up digital art and when did you get started? Jaybeeh: I bought my first computer in 2003. With the help of a few magazines I taught myself the basics of using the computer from the free disc on one of these mags. I sampled an early version of the app “Paint Shop Pro”. 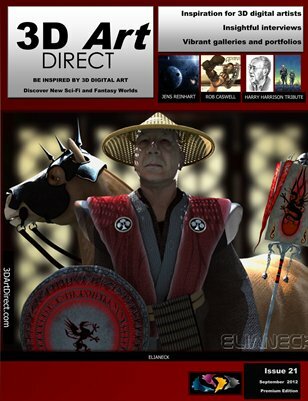 This was my first introduction to “Digital Art”. After a couple of months experimenting with the app I was hooked. 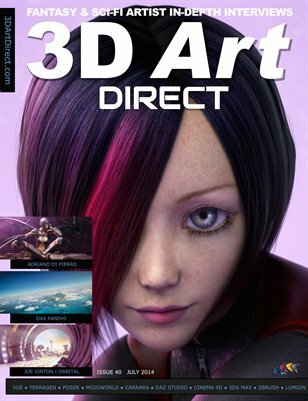 Using the local Library, magazines and the Internet I then went on to discover as much as I could about all forms of Digital Art. 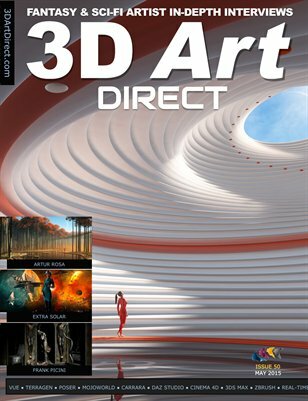 3DAD: What were some of your initial challenges in creating digital art and how did you overcome these challenges? 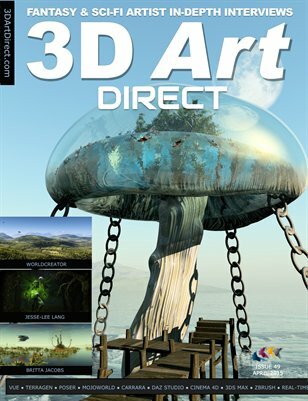 Jaybeeh: Learning to use the 2D or 3D apps that you chose to produce your artwork with, can seem daunting at first. All those tools/tabs/boxes,buttons to remember and use…..but I’ve always enjoyed the process of experimenting with and learning new apps. 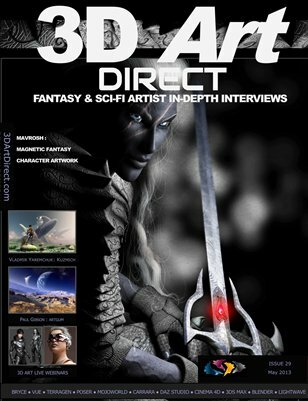 Once you have a grasp of ” which tool to use for which job” you can really let your imagination run free…..any challenges I faced in the use of my chosen apps were usually overcome with the help of other Digital Artists in the many online sites and forums dedicated to Digital Art. The help and inspiration to be had from visiting/joining sites like these was invaluable to me……always pushing me forward to experiment in different ways. 3DAD: Were there some digital artists that you first looked up to, when you started out? Who were they and what did you like about their work? Jaybeeh: The works of the matte painter/concept artist Dylan Cole really had a massive effect on me early on. The scale/vision/imagination in his work was and still is a great inspiration to me. Other Professionals such as Matthew Stewart ( excellent Fantasy work -very strong dramatic composition) and Joel Chang ( I like the sort of loose/grungy style he has…great vision…a superb artist) also caught my eye. There are of course many amateur artists that have inspired me in some way. 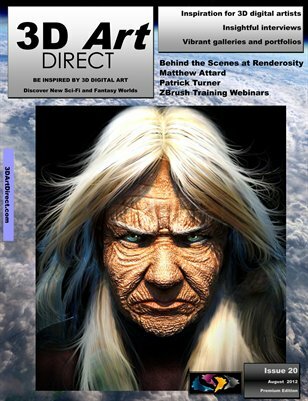 The community at Renderosity includes artists such as “Woz”, “Azrabella” & “Alex Niko” ( Mojoworld ) also “Calum5” (ZBrush) who have been a great source of help and inspiration to me when rendering scenic landscapes and Character modelling. 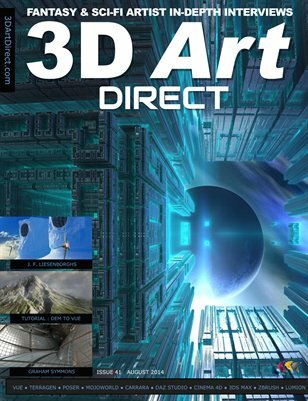 3D Art Direct has moved!